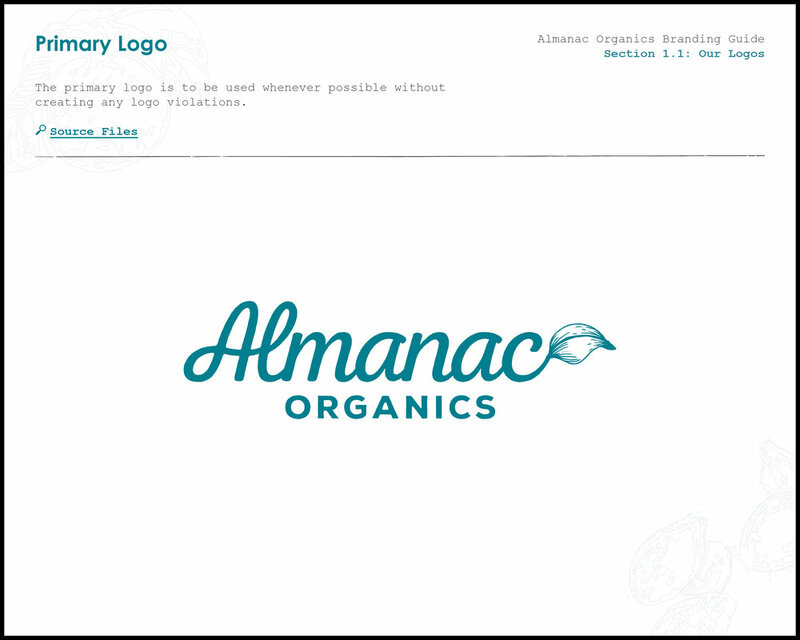 Almanac Organics needed a brand to represent their natural skincare company and mission that believes all businesses should operate with transparency, be mindful of their social impact, and be diligent environmental stewards. 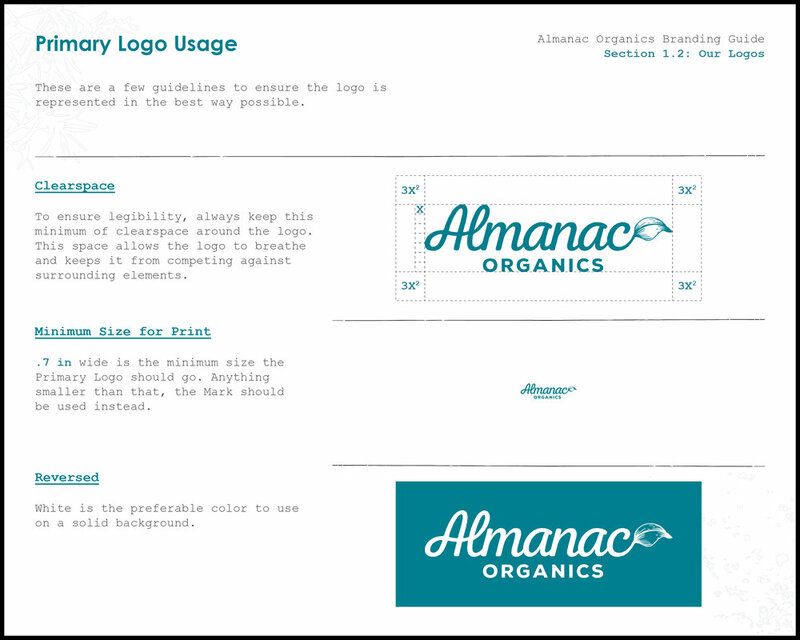 To maintain Almanac Organics authenticity through their social media, a set of rules were created. For every nine posts, there should be about two customer, one why, two what, one how, two product, and one or two philanthropy posts. Others may include posts that are seasonal, events, or some miscellaneous. 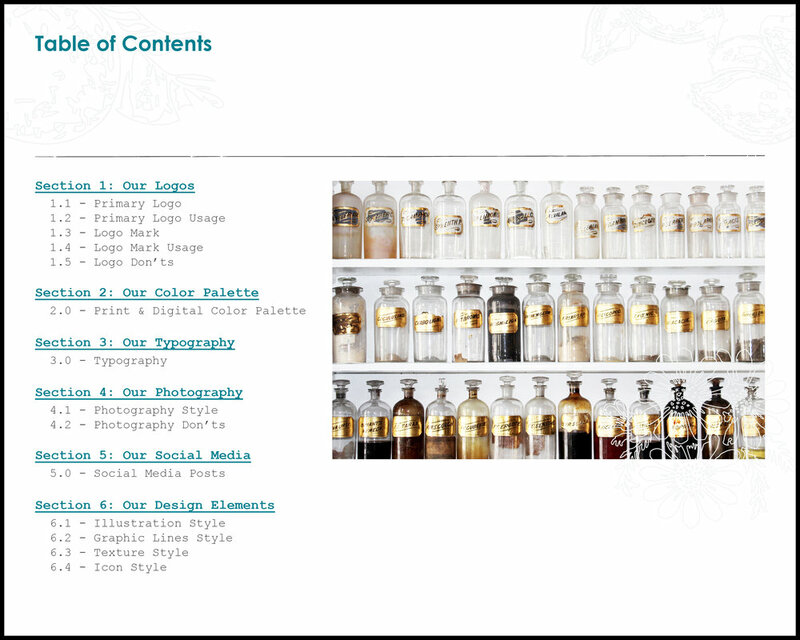 Plus, every post should contain at least one brand-identifying element. The illustrations were drawn in a style that uses less ink and should only be used in one color. 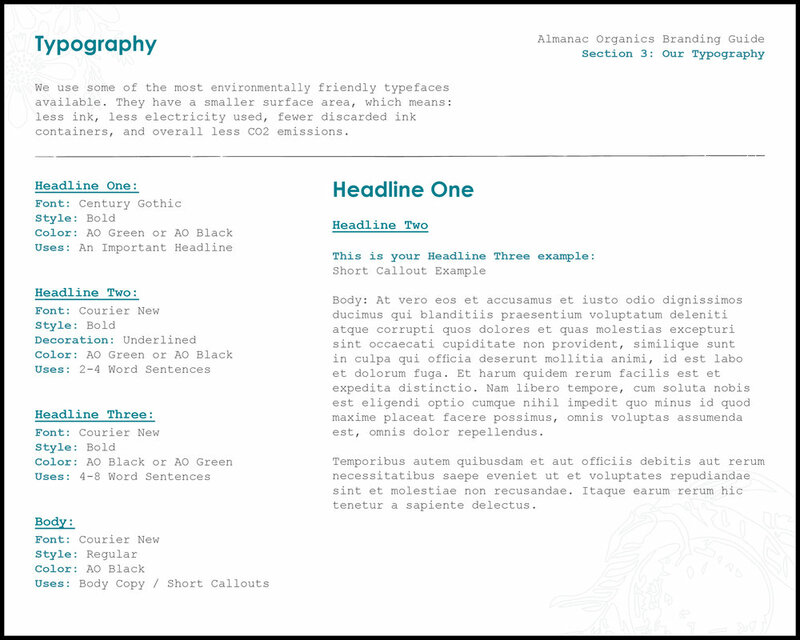 Illustrations should be used to add depth, interest, and a dynamic design element to any whitespace that needs it. 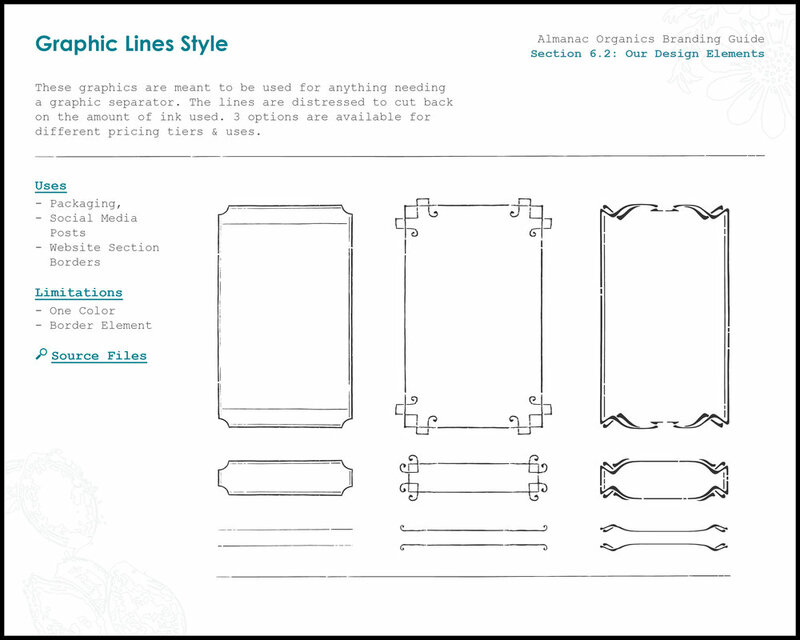 Graphics created for anything needing a graphic separator. The lines are distressed to cut back on the amount of ink used. Three options are available for different pricing tiers & uses.